Cool title for a film, yeah? Or a book for that matter. Quirky, original, and interest-inducing indeed. John Dies at the End is a new film based on the book written by Jason Pargin, and published under the pseudonym of David Wong. Why? John and Dave are best mates of course, and this is Dave’s story. And one of my favourite comedic novels ever. When I first heard this book was being made into a film I admittedly was a little dubious. The book is a comedic horror fantasy novel re the story of mates John and Dave, local American mid-western video store workers who in various ways come across a weird and wonderful narcotic called “soy sauce” that let’s them see inter-dimensional scary craziness and the delicious absurdity leads on from there. Completely engrossing, the novel is hilarious and totally batty. Fun idea for a film, but the novel does ask a lot in order to be carried over from a reader’s imagination to the big screen. This story is really pushing the limits. But it seems co-exec Producer Paul Giamatti didn’t think so. The story is told via Dave being “interviewed” by journalist Arnie. Giamatti plays Arnie. 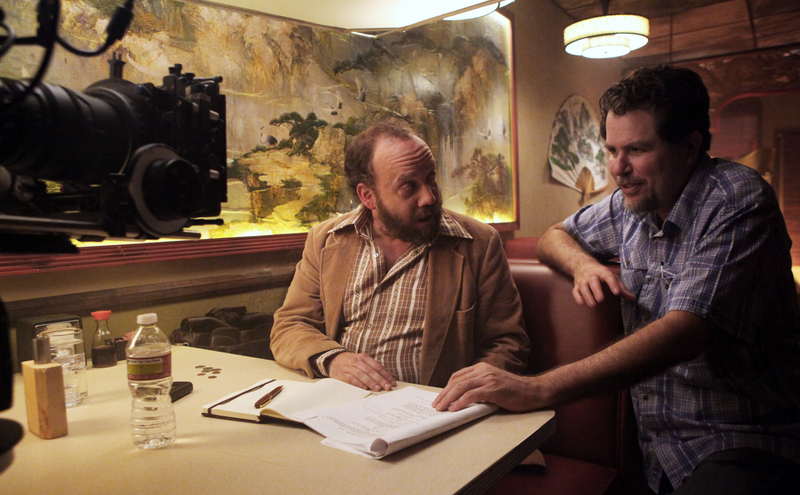 And I figure the truly fantastic Giamatti is the reason why this film did get green-lit. The leads of John and Dave are played by relatively unknown actors Rob Mayes and Chase Williamson respectively. Significant mention does go to a pivotal character named Dr Albert Marconi, played by a true working actor, Clancy Jones, who has an endless resume across TV and film. But otherwise, everyone involved is nay big. Written and Directed by Don Coscarelli, after traipsing through his career back-catalogue, I was interested to learn that I was mostly unaware of the majority of his work except one. 1982’s The Beastmaster. If you don’t know it, find it. It is a true classic in the genre of early 80’s action/fantasy. Think original Conan the Barbarian but grittier. So, John Dies at the End is to be released in 2012 with zero actual date in Oz so far. But check it out. I will be. Despite reviews from its release at this year’s Sundance Film Festival, this film’s origin is worthy of making the effort. Here’s a great story. Jason Pargin was employed to do data entry at a law firm when he first published John Dies at the End as an online webserial back in 2001. Thousands of people read. Posts were taken down as popularity grew. In 2009 his book was published in its current entirety and now about to be released in film. I love these stories. If you know this book, be aware. A sequel is almost among us. In October this year, Pargin continues the soy sauce journey. Wonderfully titled, The Book is full of Spiders: Seriously Dude, Don’t Touch It. Can’t wait! This entry was posted on Monday, July 23rd, 2012 at 4:50 am	and posted in Uncategorized. You can follow any responses to this entry through the RSS 2.0 feed.